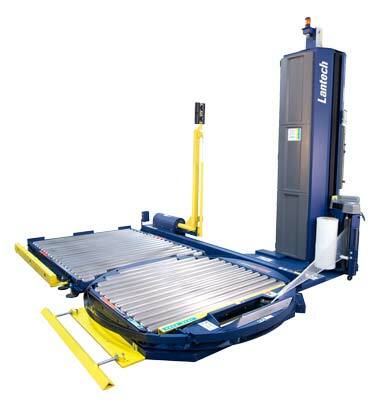 The Q300XT is a turntable based machine that sends the wrapped load to an exit conveyor. Additional conveyors can be added to improve flexibility. Featuring “Cut & Grip” there is no manual handling of the film accept to change the rolls over. The operator can start the wrap cycle via remote control.